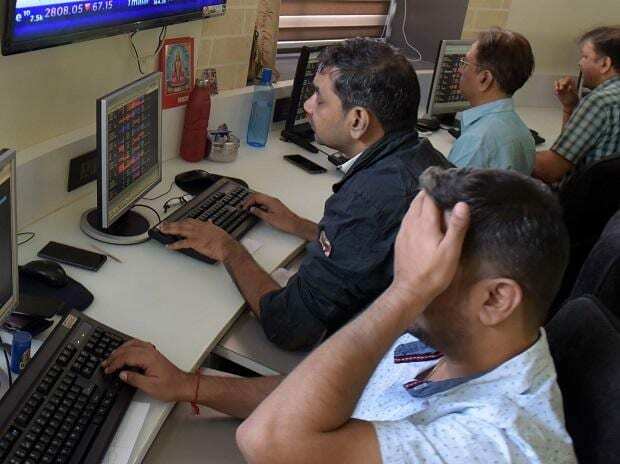 The benchmark Sensex and Nifty slipped on weak monsoon forecasts and over worries that the rally — which pushed the gauge to a high — has already factored in a lot of positives, including a potential rate cut by the central bank on Thursday. The benchmark Sensex closed 0.5 per cent or 180 points lower at 38,877 on Wednesday, after the record close on Tuesday. The Nifty50 retreated by 0.6 per cent, or 69 points, to 11,644, after climbing to an all-time intra-day high of 11,761 during trade. “The indices slid after touching a new high as initial forecasts of below-normal monsoon by Skymet, and the rise in oil prices impacted the sentiment,” said Vinod Nair, head of research at Geojit Financial Services. Foreign investors, who have pumped in more than $8.4 billion into India stocks this year so far, took money off the table on Wednesday. According to the provisional data provided by stock exchanges, foreign institutional investors (FIIs) sold shares worth ~1,040 crore, the most in over a month. Inflows for the March quarter were the highest in six years, spurred by bets that rate cuts and the prospective re-election of Prime Minister Narendra Modi’s government will support earnings growth. India is the first among markets valued at more than a $1 trillion to hit a peak this year. The Reserve Bank of India will lower its key rate upon conclusion of its policy meeting on April 4, according to most economists in a Bloomberg survey. “A rate cut is discounted to some extent, given that stocks have rallied a lot since the Fed’s dovish stance,” said Chokkalingam G, managing director of Equinomics Research. “Some investors are taking some money out before the central bank’s decision and the upcoming polls,” he added. All of the 19 sectoral indices compiled by the BSE fell, led by declines in a gauge of oil and gas stocks. Of the 31 Sensex members, 24 declined and 37 of the 50 Nifty stocks declined. Lenders including State bank of India and YES Bank fell the most on the benchmark gauge.